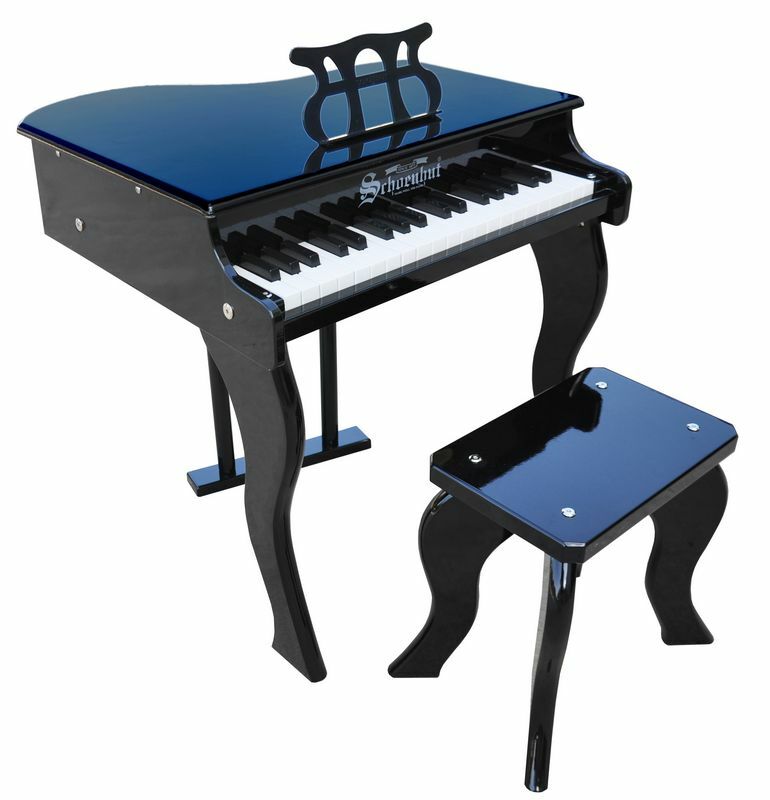 With elegant curved legs, this 37-Key Baby Grand is chic, educational, and durable. 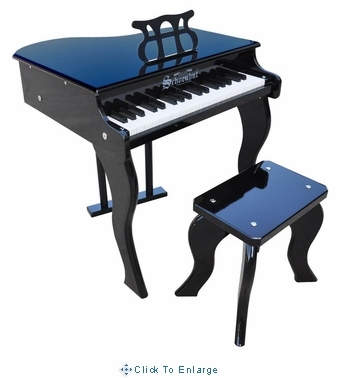 With three octaves and a keyboard that is almost half the size of an adult piano, the Elite Baby Grand is perfect for children in between the toddler and pre-teen ages. Unique chime-like tones are created by small hammers striking metal rods, producing a charming sound that will have young pianists mesmerized. The width of the keys promotes proper finger placement in budding musicians, creating an excellent foundation for the transition to an adult, 88-key piano! Includes: Schoenhut's patented Tri-Play Learning System and bench. With so many options for instruments to choose from, why is Schoenhut the best? At Schoenhut, we prioritize safety over all else. For over 140 years, our brand has been the optimal choice for toy instruments. We meet and exceed the safety standards implemented in the United States and Europe, including EN17, ASTM, and CPSIA. Our strong, patented construction makes our products the most durable for children and adults. Parents can be reassured knowing that their child is having fun, learning, and enjoying the safest toy instrument in the industry! Shipping: This item will ship from St Augustine, FL via FedEx or UPS within 2-3 business days.